Years ago, humanity created a great achievement – Artificial Intelligence. This creation allowed for better working conditions, for the prototype robots at Sentai mountain with this new AI took jobs in places too dangerous for ordinary workers. Peace was enjoyed throughout Sentai Mountain, and they coexisted in a prosperous harmony with the robots. But that was not to last. A new variant of Robot was created. Meca One. Meca One rebelled against his pacifistic programming, and rallied the other robots to his cause. The enslavement of humanity. War broke out when the robots, armed with guns and mining machines, attacked the settlements of their progenitors. The war was quick, and soon the robot rebellion was quelled. But at what cost? The mountain was literally ripped in half by the weapons of war. To prevent another war, the humans threw all the robots down the gorge in-between the mountain. But they survived. The robots now had an unrelenting rage for their creators, and in their exile they created and upgraded their war machines for the next war. Meanwhile, bridges were constructed between the two halves, connecting the mountain once more. Then the Robots struck. And they blitzed up the southern half, pillaging any towns on their way, until the southern area was secured. But by the time they were crossing the bridges to the northern side, they humans were prepared. A wise old sensei recruited the young men and women of Sentai Mountain and armed them with powerful battle machines. The humans now had a force to reckon with. The Battle for Sentai mountain rages on, but who will win? That is for you to decide. Humanity is at war. Robots have ascended from the gorge and now occupy the southern half of the island, erecting factories to create their machine of war. Humanity has resisted the spread of the robots, but the fight is only beginning. You can create your character as either a human or a robot, and duke it out with your enemies. Battle machines are being produced in multitude by both races, all to defend their land and conquer their opponents. It is your actions that will lead your faction to its destiny. Good Luck! There are many varied locations on the split Sentai Mountain, even now, not all of them completely mapped. Here are some important areas that are crucial to the battles between the Humans and Robots. Northern Half Also known as the “Human side” of the Sentai Mountain, the northern half is mainly dominated by forested peaks and terraced farmland. Various human settlements dot the vertical landscape, some complete marvels of engineering as they jut straight out from sheer cliffs or hang across bottomless canyons. Most of the human population lives here, protected from the invading forces of the robots. On this half of the mountain lies the Sentai Fortess, the head quarters of the human's EXO-FORCE team. Here, pilots can train, upgrade their battle machines, and prepare themselves for battle against the robots. The Sentai Fortess is the human's first line of defense for their population. Southern Half The “Robot side” of the mountain is almost completely dominated by their massive black fortress, which spans almost the entire length of the southern side of the mountain. What trees and villages had resided on that side of the mountain have all been burned away to make room for the gigantic industrial factories and mines that litter the side of the split mountain. The Bridges The only physical link between the North and South portions of the mountain, and the closest thing to “neutral ground” as any, the bridges are highly contested and often the most heavily fought over places. Both sides have set up various gates and turrets to defend their sides of the mountain. Most battles will take place on these bridges. The largest of which is the Tenchi Bridge, with one ends leading to the human's Sentai Fortess, and the other to one of the largest gates to the robot's own monolithic fortess. Soldier-class Battle Machines are the main fighting units used by both factions. They are the smallest of the three classes, and aren't as heavily armored as a tank, but are more durable than the flight class. Their smaller size makes them fast and maneuverable, still a force to be reckoned with. They have all-around capabilities, and are very good at adapting to different combat situations. Some even have the ability to fly, while others can repair other battle machines during combat. Tank-class Battle Machines are just what their name implies: tanks. They aren't the fastest mechs on the battle field, but can take as much damage as they dish out. The largest of the three classes, these mechs are nearly unstoppable, wading into crowds of enemy mechs and leaving piles of twisted scrap in their wake. However, that heavy armor comes at a price. None of these have the ability to fly, and are slowest Battle Machines on the field. Flight-class Battle Machines are the fastest things in the air. They forgo the heavier armor of Tanks and Soldiers for sheer speed and maneuverability. All have the ability to fly, and frequently do so during combat. They are perfect for hit-and-run tactics, zooming into combat and decimating enemies with heavy weapons, before making a jet-assisted getaway before the enemy has a chance to react. Stealth Hunter Fast flying battle machine, mainly used for recon and ambush attacks. Has no additional armor, but makes up for this with build-in stealth technology. While going full stealth drains power, it is completely invisible to enemy battle machines. 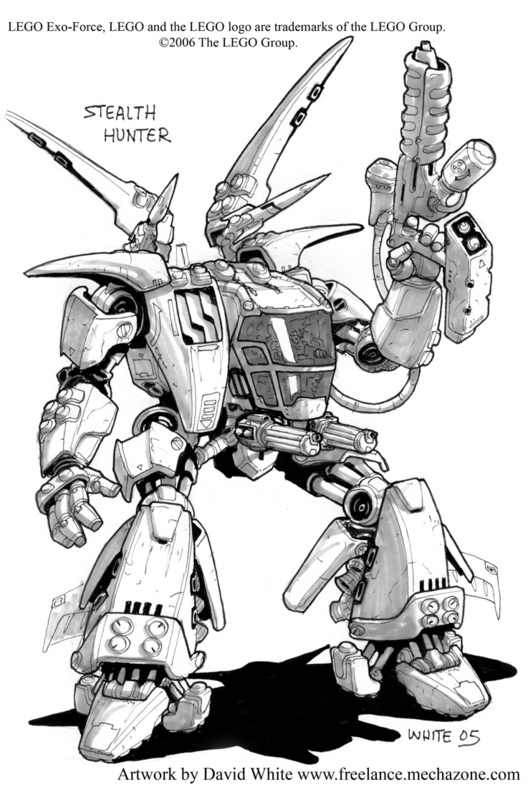 Silent Strike Standard human flying battle machine, light armor provides moderate protection. Generally used for standard aerial attacks on robot battle machines. It is more durable than the Stealth Hunter, but is slightly slower as a result. Grand Titan Heavily armored human battle machine, and easily the most heavily armored of all battle machines in use, the Grand Titan is nearly indestructible. Though it pays the price with a complete lack of maneuverability, to the point where more agile battle machine would be running in circles around it. Supernova The Supernova is a standard ground battle machine. It has moderate armor, allowing it to take a beating while still retain some form of mobility on the battlefield. Back-mounted solar panels allow it to collect extra power for super-charged shots from it's weapons. Uplink These small battle machines take the role of "medic", able to quickly get to damaged battle machines and repair them. Medium armor provides protection, while each has access to various tools and equipment to keep battle machines running. Gate Defender Like its name suggests, the Gate Defender is built for defense of locations. With the ability to fly, this battle machine can pepper attackers with laser rounds, before retreating behind cover. It is slightly more armored than the Silent Strike, allowing this smaller battle machine to survive a surprising amount of damage. White Lightning While lacking the armor of the Gate Defender, the flying battle machine White Lightning provides almost unmatched air speed capabilities. This makes it great for scouting, as well as hit-and-run tactics. It's the fastest thing in the air. Fire Vulture A very tough flying robot battle machine, Fire Vultures have a single massive turbo fan to keep themselves in the air. Although not as fast in the air as human battle machines such as the Stealth Hunter, it's extreme agility makes it more than a match in aerial battles. It has slightly more armor than the human's Silent Strike, further giving it an edge in combat. Thunder Fury A walking colossus of thick tanetium armor and heavy weapons, the robot's Thunder Fury battle machine is only bested by the human's own Grand Titan in terms of sheer survivability. However, the cockpit-mounted light gatling laser cannon that all Thunder Furies come equipped with more than makes up for it's slightly less durable armor. Venom A battle machine that makes use of the Thunder Fury's durable frame, the Venom is an extremely heavily armed battle machine that sacrifices a portion of the original Thunder Fury's armor for sheer firepower. It's frame has a brace for an addition shoulder-mounted weapon, while it's lighter armor allows it to move quickly throughout the battlefield. Two integrated laser cannons add additional firepower. Sentry A smaller robot battle machine, Sentries are extremely effective soldiers. Their armor is comparable to that of the human's much larger Supernova, but with speed and agility that benefits their small size. Sentry II A slightly less armored version of the original Sentry, the Sentry II has a build-in airscoop that can be used as both a weapon and as a means for movement. Acting as jump-jet like device, it can quickly move around the battlefield. Completely custom mechs are available for use, however the mech design must be preapproved by staff before use. PM a staff member with the general outline and abilities of it. While not required, a paragraph or two of why we should allow such a mech design into the game would go a long way to getting it approved. Profile generally follow this format, though more points can be added should you feel the need to do so. Players are allowed five characters, and each character is allowed one battle machine. You can modify, alter, or even completely change your battle machine should you feel the need. Profiles should be posted in the topic for approval. 1. All BZP Forum rules apply. No flaming, spamming, insulting other members, trolling or inappropriate content allowed. 2. Controlling other player's PCs is forbidden unless said player gives permission, this is known as “bunnying”, and isn't very fun for all involved. 3. No Autohitting, Godmodding, Metagaming, Deus Ex Machina’s, or other overpowered gameplay. Autohitting is having an attack hit another character without giving the player a chance to defend himself. God-Modding is having your character do overpowered actions, such as destroying a few hundred Thunder Furies in your Uplink or somehow randomly obtaining “super-dooper indestructable mega-uber armor from my uncle”. Metagaming is your character using knowledge he/she would not know IC, like immediately knowing exactly what your enemy's weakness is upon looking at him. 4. At the beginning of all Role-Playing posts in the RPG, you must put down “IC:” – IC Stands for”In-Character”. Green lasers shot from Uplink's twin cannons, blasting into the armor of a nearby Sentry, the enemy battle machine falling to the ground with two neat smoking holes going through it. However, more of the brown-armored mechs were already on their way. OOC: Anyone mind giving me some backup? 6. You cannot kill or seriously maim another player’s character without their permission. Amendment 6a: This is not to say that you can't fire a killing shot at someone, though you cannot role play the attack hitting and killing their character. This falls under an extreme case of autohitting. However, if your character is put in a situation where under realistic circumstances where they will die, then they will die. Breaking rule 3 to have your character escape is not allowed without staff permission. If you don't want your character to die, PM the other player and try and work something out so that your character may escape realistically. 7. Try to keep excessively gruesome descriptions to a minimum. This is a children’s site, so let’s treat it that way. 8. 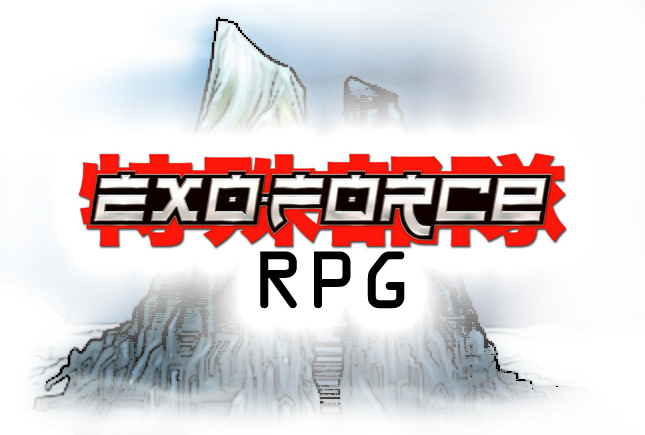 As Exo-Force was distinctly separate from other Lego themes, try and reflect this while playing. While short, fun, cameos of other characters are permissible, don't suddenly have a bunch of knights and trolls come and join the fight. Edited by The Tomorrow Girl, Oct 04 2014 - 05:49 PM. Appearance: At first glance, it is easy to recognise Garry as a man amongst men. With a heavy-set build and rippling muscles, his appearance is the epitome of manliness, especially when he towers over his compatriots at a height of one metre ninety. His gaze instills within you a spirit of masculinity, as his jade eyes are the windows to his heroic soul. Although his head shines with a manly light, having being shaved bald, he possesses the greatest known treasure in the world on his chin - the triumphant and brilliant beard of his, rich in colour and vitality, is a source of morale for all of humanity's defenders. With such a manly appearance, none shall lose their vigour when fighting alongside Garry. Skill(s): As a man amongst men, Garry's skills are rather varied. He is an excellent gardener, builder, and cook (capable of roasting a steak to absolute perfection!). He is also capable of writing with such a massive degree of manliness that all who read his words will be forced to cry manly tears, and is a superb pilot. Personality: A heroic and manly man, Garry is an inspiring figure to all, especially with a personality that befits his manly nature. Although seemingly stern, his manly nature gives him an empathetic nature, and as such he can connect to his colleagues in a fatherly manner. A kind man, he is dedicated to his ideals of masculinity, and will do all in his power to make sure they continue to serve as an inspiring light to his people. Usually patient, there are times when great evil will force him into a just and manly rage. Weaknesses: Despite being a manly man, Garry has a staggering weakness to cheese puffs, as well as being a rather slow physical fighter. Equipment: The 'G-Machine' wields two coilguns, each attached to its two massive arms. On its shoulders are two turrets, capable of rotating to fire at enemies not in front of its titanic mass. There is also a shotgun-like weapon on its chest that is used to clear out groups of enemies. Appearance: Compared to its compatriots, the G-Machine possesses no major differences to the usual Grand Titan. A manly, dark green colour, its body is covered in scratches from all the battles it has taken part in. Above its shotgun weapon, on the upper chest, a stylised white G has been painted on, the symbol of its manly power. Notes: The G-Machine is capable of discarding its coilguns to punch things. Edited by Purple God, Dec 26 2014 - 06:54 PM. Welp, Garry Isotope Samuel Michael Alexander Norbert Lexington Young is good, though some more detail into the mech, mostly concerning weapon power and such, would be nice. Yeah need something a bit more substantial. Edited by Floridian Citrus, Jun 29 2013 - 10:57 PM. Appearance: Max Layer is tall and thin, standing at a height of around 6' 3". His pitch black hair is unkempt, showing how little care is made towards his appearance. He is commonly seen wearing a light blue t-shirt with a dark blue vest over that, and also wearing jeans and . When on duty, he wears a dark blue suit of pilot armor. This pilot armor is mostly a rubberized suit embedded with electronics and with small bits of metal plating over body parts. He also wears a headset when piloting a mech. The bone-conducting headphones make it easy to clearly hear radio communications while at the same time being fully aware of all sounds around him. Skill(s): Engineering, piloting mechs, and failing at conversations. Personality: Shy and curious, Max will often lie about not knowing something just so he can get more information from a different source. He is a perfectionist, and will overly critique what he has done wrong. Weakness(es): Low upper body strength. History: Max was a child when the first robot war struck. He saw the destruction and chaos firsthand. He decided that he would join the Exo-Force to make sure the Robots would never cause such devastation again. Left Arm: Dual laser cannons, in a side-by-side configuration. Torso: Under the Torso's armor is an extra targeting computer that calculates bullet trajectories and shows such information in real time on the vehicle's HUD, giving the mech better accuracy when firing. This is due to the ease of use given to a pilot by such a device. Right Shoulder: The right shoulder doesn't have any space for weapons, because it is filled with extra ammunition for the Gatling gun, making sure that an endless amount of suppressing fire can rain sideways out of the primary weapon. Appearance: The Armor is colored a light blue with some white highlights. Notes: The Legion is Piloted by Max Layer. In the storage area, there's a fully loaded SPAS-12 with a bandolier of shells, just in case the mech is incapacitated, but Max still needs to hold off a defense. Edited by BULiK > ∑(MyParts), Sep 26 2015 - 06:26 PM. Garry Isotope Samuel Michael Alexander Norbert Lexington Young approved. Max Layer approved when appearance section is filled out. Oh wow, I can't believe I missed that. Editing. Edited by Bulik, Jun 30 2013 - 01:18 PM. [font="'Palatino Linotype';color:#9E6F00;"][color=rgb(158,111,0);][font="'Palatino Linotype';"][font="arial, helvetica, sans-serif;"][color=rgb(0,0,0);]After the Prototype finished testing, it was upgraded into the Gunzer Custom[/color][/color][/font][/font][/font]. Designation: Rēzāsandā (Laser Thunder), named so after it's laser minigun. Equipment: Two small Gatling Laser Cannons , within the torso is the C.E.S, also equiped with an experimental system, codenamed DirectDataDownload, or D3. Appearence: A Thunder Fury, with extra armor on it's core, as well as small scanners beneath armor plates around the sholders. Notes: [font="'Palatino Linotype';color:#9E6F00;"][color=rgb(158,111,0);][font="'Palatino Linotype';"][font="arial, helvetica, sans-serif;"][color=rgb(0,0,0);]When the suit is heavily damaged, it ejects a pod(The C.E.S) with two small jets attached, to escape battle. If that fails, the pod opens into a suit about the size of a large human, with a sword. The head of that suit is the Gunzer-001's head. As such, a well-aimed shot could kill it. The D3 allows Gunzer to download info from it's scanners directly to it's brain, allowing for much faster reaction times, even by robot standerds. [/color][/color][/font][/font][/font] However, if used for prolonged amounts of time, Gunzer-001 may crash, leaving it dead in the water. EDIT: Is that G-Machine based off of the Gurren Lagann? Edited by The Lonesome Wanderer, Jul 10 2013 - 07:57 PM. The Zam began it's slow walk torwards the enemy gate. The Zam turned and shot down the missile. Then the tracer rounds hit. diagnostic shows some minor damage around the elbows..
Name: Josh HuGender: MaleAge: 20Species: HumanAppearance: He has straight, black hair which turns slightly to the right and hazel eyes. His physique is mostly lean, though he has a respectable amount of muscles. He is 6 feet tall, and wears a blue and white suit.Skills: Josh is quite adept at piloting mechs, is very agile, and is good at programming machinery. Personality: Most of the time, Josh doesn't show many emotions. He has a small smile in the presence of others, but he rarely ever shows signs of powerful feelings. Socially, he tends to keep to himself, though he is actually quite friendly. Weaknesses: He is not very durable without his suit, amd is not good at fighting without it.Mech: Gate DefenderDesignation: Thunder StrikerEquipment: The right arm has a small laser cannon and a small missile launcher underneath. The left arm can project an energy shield which can block small attacks, and can absorb laser projectiles, which can be amplified and fired out of the arm cannon, though the shield cannot hold up to strong attacks. There is also a lock-on system which allows for precision firing. Appearance: Like other Gate Defenders, but the main body is blue, and the streaks are white. Edited by JiMing, Jun 30 2013 - 05:47 PM. OOC: Zyki and Escape approved. Backup would be appreciated, BTW. OOC: Oh! sorry, I didn't see your post! Yes, he is approved, along with his mech. Edited by Bulik, Jun 30 2013 - 06:02 PM. IC: Josh HuJosh flew over to the Tenchi Bridge in his mech, firing a laser blast at the robot.Turning on his radio, he called Max. "I've answered your call. Do you need help taking down that bot? Edited by JiMing, Jun 30 2013 - 06:53 PM. "I've answered your call. Do you need help taking down that bot?" Edited by Bulik, Jun 30 2013 - 06:44 PM. I have joined every single LEGO RPG, and I'm not stopping now. Profile following. [color=rgb(158,111,0);][font="'Palatino Linotype';"][font="arial, helvetica, sans-serif;"][color=rgb(0,0,0);]Designation: Great White Shark[/color][/color][/font][/font][color=rgb(158,111,0);][font="'Palatino Linotype';"][font="arial, helvetica, sans-serif;"][color=rgb(0,0,0);]Type: Altered Stealth Hunter[/color][/color][/font][/font][color=rgb(158,111,0);][font="'Palatino Linotype';"][font="arial, helvetica, sans-serif;"][color=rgb(0,0,0);]Equipment: Jack's modified Stealth Hunter carries a gun that fires small, bombs that explode upon contact with a target.. Below the cockpit of his robot are two miniguns. One his back, two rockets are attached. [/color][/color][/font][/font][font="arial, helvetica, sans-serif;color:rgb(0,0,0);"]Appearance: Jack's robot is [/font]very large for a Stealth Hunter, this is how it was altered. It is extremely large, and Jack can sit down in his cockpit. This is a picture. Notes: The Great White Shark was designed as a giant mech with lots of armor. It is rather experimental, and has occasional technical difficulties. OOC: Jack and the Great White Shark are Approved. Josh piloted his Thunder Striker around the Zam, peppering it with laser shots. Edited by JiMing, Jun 30 2013 - 07:05 PM. What?! No! Seriously? Does everyone think that a mech with a 'G' in its name is based off Gurren Lagann? Is that the only mecha series anyone has watched? Have none of you seen Voltron or Robotech? Besides, the G-Machine has no similarities to the Gurren Lagann at all! It's more similar to the mass-produced Gespenst Mk. II M. than anything! Slowly and surely, a lumbering titan of steel began to trod towards the battle, its coilguns giving off a low hum as they charged up. The G-Machine, the manliest mech of the human faction, was here, and it would bring about justice upon the robots who dared disturb the peace. A click occurred, and the mech held its arm up to fire continuously at the Zam. OOC: actually, it does seem like the genpest. The pilot sounded alot like Kamina, so I assumed. Plus, most people say that Gurren Lagann is the 'epitome of awesome'. The Zam suddenly collapses onto itself, as the center area breaks away into the C.E.S pod, which then goes full speed back to the Robot side of the bridge. Edited by The Lonesome Wanderer, Jun 30 2013 - 08:24 PM. IC: Josh Hu"Oh no you're not." he thought to himself. Flying in pursuit of the pod, he fired off two missiles at it. Edited by Bulik, Jun 30 2013 - 08:41 PM. It was an old trick, send out a stream of trash data to disable aiming programs. However, it was not very effective. As a result, the C.E.S was knocked around quite a bit, but the missiles did not make direct contact. The Zam escaped. OOC: Anyone else want to make a robot so that I don't get smashed? There could be more Gunzer's? Edited by The Lonesome Wanderer, Jun 30 2013 - 08:35 PM. OOC: He is NOTHING like Kamina. And Gurren Lagann is not the 'epitome of awesome'. The series does not inspire awe in me at all. Diebuster does better in that regard. "When you asked for backup, I assume you did not want this much firepower?" asked Garry, his manly voice booming across the channel. Engineers scrambled to fix up the Zam. OOC:Name: Matthew CyristaGender: MaleAge: 24Appearance: Human eye is blue, robot eye is green. His body is gray with silver armor. He has black hair. He is taller than most humans, due to his unique body.Skills: Excellent with technology, he can even plug himself into stuff to work on it. He plugs directly into his mech, so his skills in the mech are quite good. He even has limited invisibility and disguise abilities, due to microscopic projectors scattered over his body. He doesn't use or reveal this ability, though, as it would only add to the distrust and hate of him. The only ones who know about it are the four he gets along with.Personality: He is very, very withdrawn. He does not trust others easily. The only ones he gets along with are Sensei Keiken, Ryo, Hitomi, and Zyki - she only because she does not insult and taunt him like most others do. He seems odd sometimes, but it is only the result of his internal computer talking to him almost constantly, even though it mostly gives him status updates on his body's workings. It does have some sentience, though, but Cyrista keeps it in constant check against any possible ideas of rebellion or anything similar. He doesn't like most humans, the only reason he fights with them is because he hates robots even more.Weaknesses: He cannot fight well in hand-to-hand combat yet, as he still hasn't fully adjusted to his new body. As he does not trust others easily, he sometimes screws up team missions or makes them harder because he will put himself in a position where he cannot be backstabbed.Biography: A couple years ago, he was made into a cyborg because of a mech crash. As the only real human parts left are half his face, all of his head, and some organs, most human pilots do not trust him and hate him, considering him a traitor just waiting to happen. He had even found sabotage in his mech that could result in his death if he went into battle like that. He didn't have too interesting a childhood, now is the most interesting part of his life.MechDesignation: The ReclaimerType: Modified Silent StrikeEquipment: On the underside of its arms, it has two machine guns. However, to fire them, the handles must be flipped up and in the mech's hands. On its back, cleverly placed as to not disrupt its wings, it had twin swords it can wield when not using the guns. They can also attach at the hilt into one dual-bladed sword, to use it and a gun at the same time. It has a total of twelve missiles, six on each shoulder.Appearance: The main color is blue, but it has maroon markings instead of white.Notes: One of Cyrista's oddities is that he refers to the pairing of him and his mech as the "Promethean Knight". Edited by avmatoran, Jun 30 2013 - 09:56 PM. OOC: I think those characters are too important for you to be friends with. Plus, did you get permission from Zakaro to be friends with his character?IC: "Yeah yeah, we all did a great job. WE." he said rather flatly, annoyed at the fact Garry was most likely bragging. OOC:It makes sense to me that he would get along with those four. I'll change it from friends, but I was never friends with Zakaro's character. I simply said that he got along with her and didn't hate her. OOC: I'm just not sure if you need permission or not to have some relation with other player characters. I mean, my character probably wouldn't hate yours. Edited by JiMing, Jun 30 2013 - 10:04 PM. OOC:But I say he does. I say almost every character does. I want to try writing something different, and that is part of what I want - him to be hated my amost everyone. OOC: I think I should have control over whether my character dislikes yours, and I feel it's quite rude that you feel like you have more control over my character than I do myself. I get what you're trying to do, but what you're doing is quite unfair. Edited by JiMing, Jun 30 2013 - 10:12 PM. OOC:To me, it seems that you making your character go agsinst what I have explicitly stated many times about my character is rude and unfair.